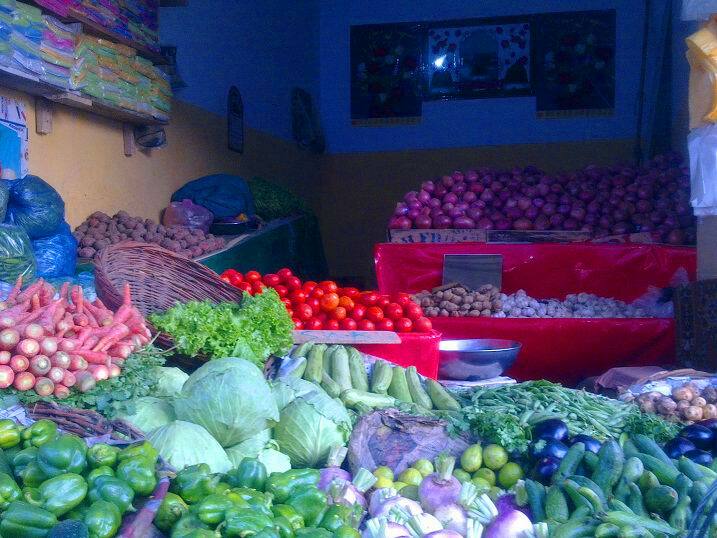 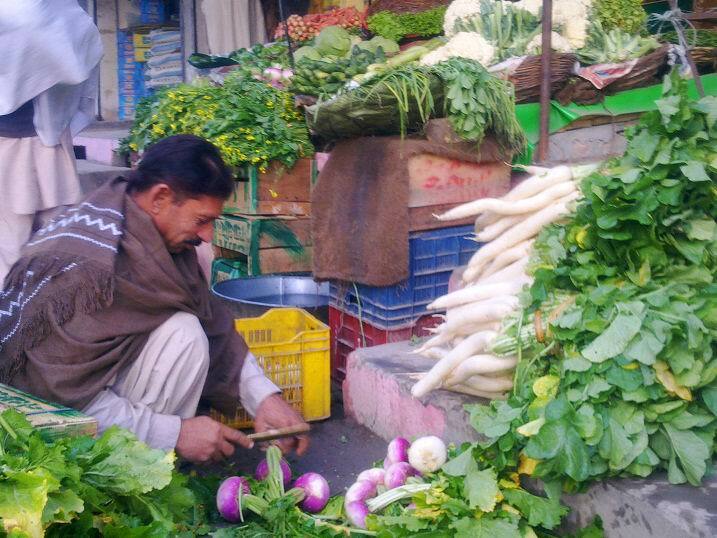 A vegetable shop keeper is decorating his shop at early morning near Shahbaz Garh Pull, Hazro. Mostly owners of vegetable shop visit Hazro Sabzi Mandhi early in the morning to purchase all type of vegetables for their shops. The rates of vegetables & fruits are also reached to up level due to the bed economy position of Pakistan.